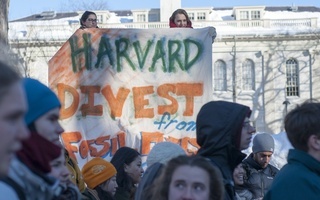 Students from the environmental activist group Divest Harvard have appealed the dismissal of their lawsuit filed against the University last November, which asks the court to compel Harvard to divest its $37.6 billion endowment from the fossil fuel industry. Despite the initial unfavorable ruling, Harvard’s climate activists are adamant about continuing their legal battle. The plaintiffs, who call themselves the Harvard Climate Justice Coalition, claim in their 113-page appeal that Harvard has mismanaged its endowment by investing in “abnormally dangerous activities” and allege that Harvard is violating its charitable duties as a nonprofit by failing to divest. Though the plaintiffs may not introduce new arguments at the appeals stage, according to plaintiff and Harvard Law School student Alice M. Cherry, the brief seeks to argue why the dismissal was unwarranted so that the case can proceed in a lower court. “It was an error for the Superior Court judge to grant the Defendants’ motion to dismiss for failure to state a claim upon which relief can be granted,” the appeal brief read. University President Drew G. Faust has maintained Harvard should not divest, arguing that the University can best combat climate change through the research and work of its students, faculty, and alumni. This time around, the plaintiffs appear to have more external support to bolster their case. The Animal Legal Defense Fund and James E. Hansen, an adjunct professor at Columbia University’s Earth Institute, have filed amicus curiae briefs in support of the Harvard students, according to a press release. 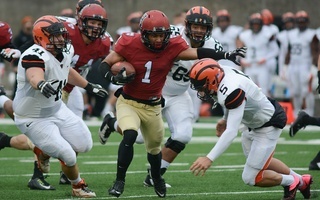 In addition, the Cambridge City Council has voted unanimously to support the lawsuit. The plaintiffs—who are representing themselves without a lawyer—are all members of the group Divest Harvard, an activist group particularly involved in campus protests last year. 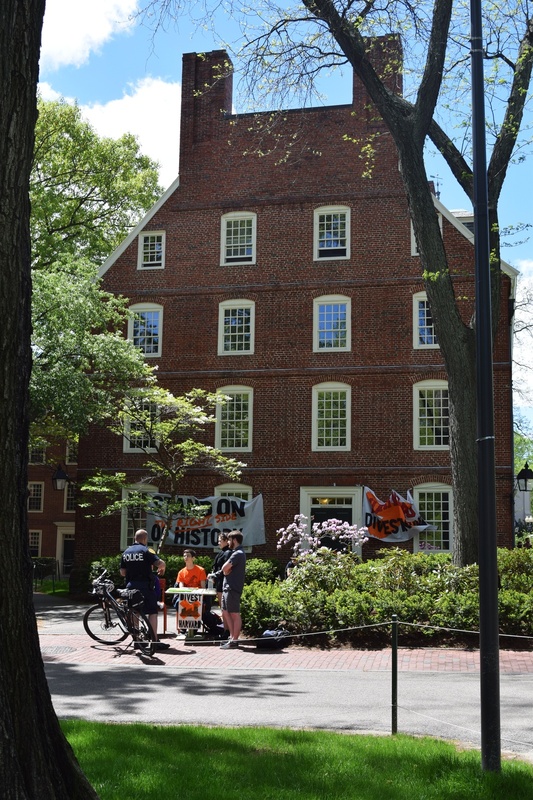 In April, they staged a week-long blockade of Massachusetts Hall, and they have repeatedly protested via blockades of and sit-ins at the building, which houses Faust’s office. This academic year, though, the group has been significantly quieter, not holding any public protests so far. —Staff writer Mariel A. Klein can be reached at mariel.klein@thecrimson.com. Follow her on Twitter@mariel_klein. The semester will be a time for re-strategizing and reevaluating the role Divest plays on Harvard’s campus, according to Naima Drecker-Waxman ’18, a coordinator for Divest. est.